A quote once said that life’s like a marathon, and we are running it. So, what do you think? Well, i think that life is more challenging than just a marathon. A marathon’s athletes got their time to practice, and yes they practice a lot! Sometimes they even practice on their race’s route, so they know what they are up against really well. They’ll know every sight on every miles, they’ll know every gravel they’ve met. They can feel the ground and the wind so well before they even begin their race. And because of those practices, their breath and stamina become stronger and stronger which will make them even more powerful for the race. Every marathon has it’s finish line. 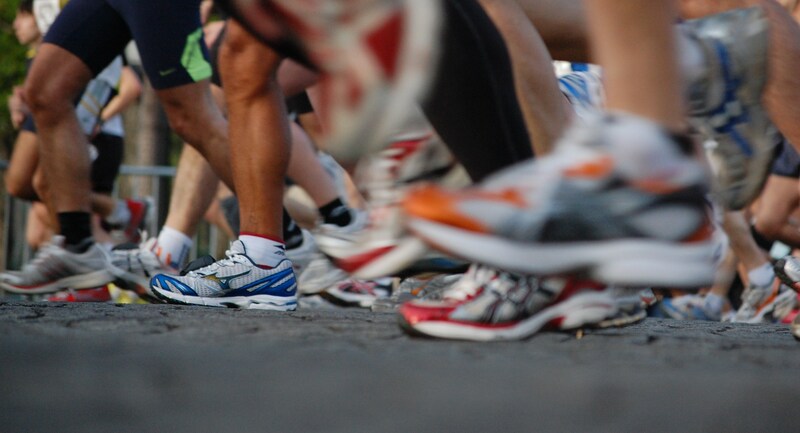 Every athlete knows exactly that their race will be finished in twenty-six miles and 385 yards. For great runners, they probably knew that their finish line will come in a little on 2 hours. Are we ready for anything upon us? Do we know well our race of life? And Have we known our finish line? If your answers of those questions are the same with me which is No, then your life and my life is not just like a marathon. Like the marathon, we are indeed running our life everyday to survive but unlike a marathon, we don’t have the same route everyday. There will be always a new gravel, a new obstacles and challenges. Yes we have to practice. By learning our obstacles, we are stronger than before but then it means that you have to be ready for a new obstacles. Unlike a marathon’s athletes who practice everyday on the same path and system when they are having a race or not, in our life we practice only when something hit us. Then we learn how to overcome it and become stronger. So, don’t complain when obstacles hit you, it is your chance to practice. Your life depends on your will to survive. When you give up, your life ends. Your will to survive is your Finish Line!